It’s been a good year for Thailand’s hospitality sector, with foreign and local investors adding to the country’s hotel rooms supply to meet growing demand. An influx of international arrivals and strong domestic travel is driving the hotel push. The Tourism Authority of Thailand predicts 40.3 million foreigners will visit the country while locals will make 177 million trips. According to the Bangkok Post, the latter half of 2018 showed local and foreign investors displaying robust interest for hotels despite a dip in Chinese tourists denting the inbound market. Domestic developers accounted for the bulk of activity, such as Singha Estate purchasing six hotels from Outrigger, including two in Thailand. The Thai Hotels Association expects the country’s hospitality sector should continue to grow, barring any political crises following next year’s election and a stable global economy. Still, the sector is being challenged as the average room rate in the country has remained the lowest among big cities in Southeast Asia. Supawan Tanomkieatipume, president of the Association, told the Post pricing remains a significant challenge for the country’s hotel sector, with ADR in nearby Singapore, Kuala Lumpur and Yangon at two or three times the rates of Bangkok hotels, and room rates in Tokyo and Hong Kong even higher. According to Lodging Econometrics, Thailand’s hotel pipeline had 143 hotels and 33,855 rooms at the end of third quarter. Many of the recent developments are from global companies. This month alone, Tokyo-based Okura Nikko Hotel Management Co., a subsidiary of Hotel Okura Co., announced plans to open the Hotel Nikko Amata City Chonburi in Amata City Chonburi Industrial Estate, around 60 kilometers southeast of Bangkok, in 2021. Best Western also is continuing its expansion in Thailand, signing Best Western Plus Speech Pattaya and The Title V Rawai Phuket, BW Premier Collection by Best Western, both of which are on track to open within the next two years. In the Philippines, Best Western signed its first SureStay hotel for the country, SureStay Plus by Best Western Regency Angeles City Clark, which is scheduled to open in Q2 2019. 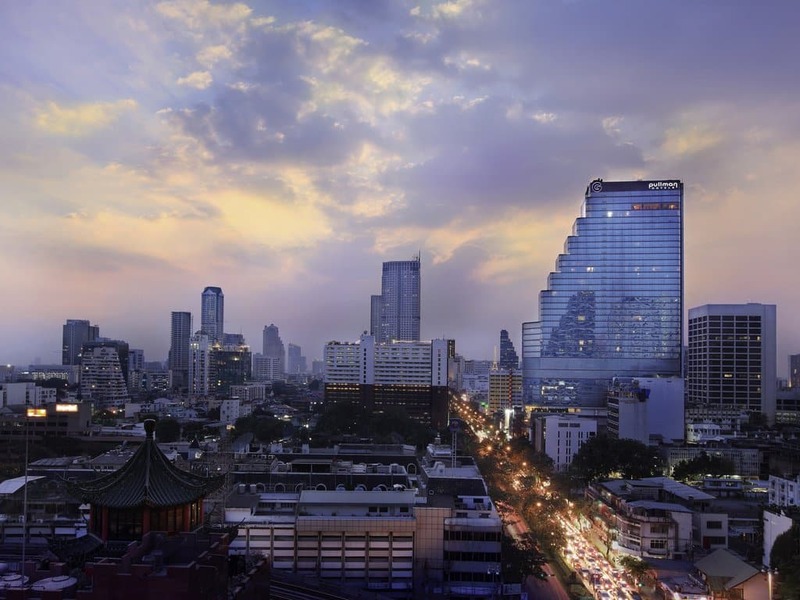 In addition, the first Orient Express hotel of the brand’s new era will open in the King Power Mahanakhon Building in Bangkok as part of a partnership with AccorHotels, SNCF Group and King Power Group. This past September, Mandarin Oriental Hotel Group set plans to open a new luxury resort on Thailand’s Phuket Island. When it opens in 2022, the 105-room Mandarin Oriental, Phuket will be located on the island’s west coast. In the same month, Radisson Hotel Group said its upper-midscale Park Inn by Radisson brand would make its Thailand debut with the launch of a hotel in Phuket Town, the island’s provincial capital. IHG and Thai real estate company Ratanakorn Asset also have signed a deal to open eight new properties in the key resort destinations of Pattaya, Rayong, Phuket, Khao Lak and Koh Samui by 2027. The projects include the Holiday Inn Resort Khao Cape Pakarang near the Phuket International Airport and a Holiday Inn Express near Kata Beach.